By Xah Lee. Date: 1997 . Last updated: 2018-06-24 . Here's a list of math related board games software. There is a series of book on the general mathematical aspects of board games and puzzles: Winning Ways by E R Berlekamp, J H Conway, R K Guy. Computer go is extremely weak as of 2010. Any go hobbiest can beat any computers. But, in 2016-03-11 , Google AlphaGo changed this. See: Google AI AlphaGo vs Lee Sedol. Here is perhaps the only book on programing go: Mathematical Go Buy at amazon by David Wolfe and Elwyn R Berlekamp, 1997. There's a Mac OS X version called Goban with very good graphical interface. Freed Go by Lewey Geselowitz. It plays go on various 2D and 3D grids. Hex is a board game popularized by Martin Gardner's Scientific American in the 1960s. 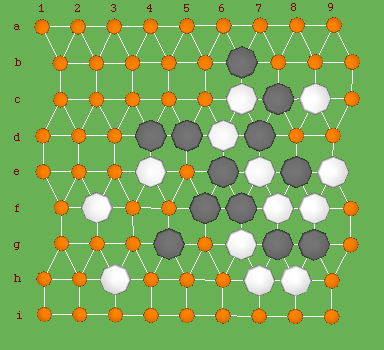 On a diamond shaped hexagonal board, two players alternatively place their pieces vying for a unbroken connection between opposite edges of the board. As of 2000 , the best hex program is by Vadim V Anshelevich. The site includes his thesis. Hex board up to 9x9 has been solved by Jing Yang. Chinese checkers. Pieces move by jumping over other pieces. The goal is to be the first to arrive on the opposite side. What is the origin of the name “Chinese checker”? The game was invented in Germany in 1892 under the name “Stern-Halma” as a variation of the older American game Halma. It was renamed “Chinese” in USA for marketing reasons. 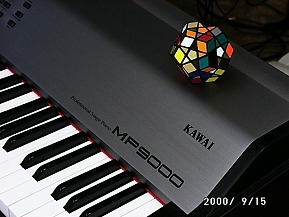 Reversi is made popular by computer. Two player take turns placing disks of his color on a 8x8 square board. Opponent's pieces that lies between your pieces will be changed to your color. The winner is the one with most pieces on the board. 2002-09-29 The champion of Reversi is no longer human. Program Logistello by professor Michel Buro [https://skatgame.net/mburo/] beat the current world champion Takeshi Murakami 6 to 0 in 1997 August. Ataxx is a arcade game in the early 1990s. The game is similar to reversi in that you flip over your opponent's pieces, but instead by sandwitching, you flip adjacent ones. 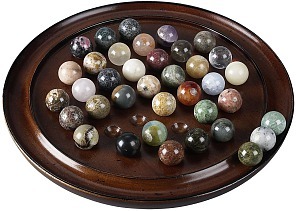 Abalone is a game played on a hexagonal grid. The object of the game is to push your opponent's pieces off the board.